Venom to Kick Off Sony's Own R-Rated Marvel Universe? Are you ready for another Marvel movie universe? Because it's happening. With Spider-Man: Homecoming on the way in just a few months, it is hard to be anything but happy about the fact that Sony and Marvel Studios are working together to bring Spidey into the MCU. But Sony still owns the rights to Peter Parker and his entire rogues gallery, which is reportedly in the neighborhood of 900 Marvel characters. So, Sony is going to put those characters to good use and kick-off their own MCU, starting with the Venom movie next year. The twist: These movies will be R-rated. 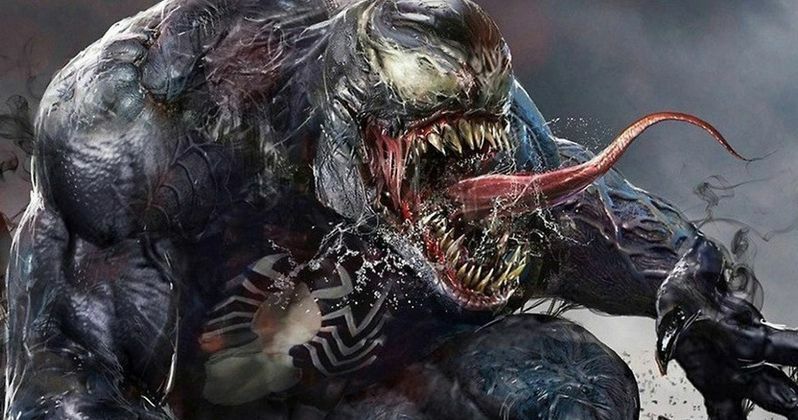 Per Collider, Sony is going to use this Venom solo movie, which is apparently going to be R-rated, as a springboard into their own series of connected Marvel movies that will all center around characters that Sony owns the rights to. The success of Logan and Deadpool are to thank for the decision to make this Venom movie R-rated. So, there will be an entire, interconnected universe of movies that will center on Spider-Man characters without Spider-Man in them. Like it or not, Sony is going to capitalize on their Marvel Comics characters on the big screen as much as possible. This new report confirms that the R-rated Venom movie, and the in development Black Cat and Silver Sable movie, will not be connected in any way to the Marvel Cinematic Universe. Marvel Studios President Kevin Feige will have nothing to do with these movies and, at least for now, Tom Holland's Peter Parker won't be in them either. It should also be noted that, even though it was a popular theory, Life is not actually a prequel to this R-rated Venom movie. Sony's Tom Rothman is going to be the man in charge of this new Marvel movie universe. It is worth saying that this is just the plan currently. A lot could change between now and when Venom is actually released in 2018. But it makes sense that the studio would want to try and make use of their other characters. However, fans of the comics will probably find it a bit odd that characters like Venom or Black Cat will be in movies without Spider-Man. Granted, there have been solo stories in Marvel Comics history with these characters, but they are historically anchored to Spider-Man. There is also the issue of how this works if Kevin Feige and Co. want to bring Venom or one of these other characters into the MCU. Will they have to recast? Are the characters just off the table for use in the MCU? There are still a lot of potentially confusing questions left to be answered here. There is also the question of Miles Morales. Could Sony develop a Spider-Man movie universe using Miles Morales instead of Peter Parker? That all depends on the details of the deal that was made between Marvel Studios and Sony. It is a complex deal and we don't know what all went into it, so we can't rule that out entirely. However, it seems unlikely that Marvel would be cool with rival Spider-Man franchises going on at the same time. And on top of that, Miles Morales has been confirmed as the lead character in Sony's Spider-Man animated movie that comes out next Christmas. As it stands, Venom is set for release on October 5, 2018, with a script from Dante Harper (Alien: Covenant). The movie is being produced by Avi Arad and Matt Tolmach, with a director search currently underway. The movie is reportedly going to shoot this fall with a sci-fi/horror take. Thor: Ragnarok writer Chris Yost was recently brought on board to write the movie that will center on Black Cat and Silver Sable, but no release date has been locked down. Before Sony made their deal with Marvel Studios, there was also talk of a Sinister Six movie and, as ridiculous as it sounds, an Aunt May solo movie. The Aunt May movie is almost certainly off the table, but anything else is possible at this point.